A New York school teacher sued the city after claiming he was beat up by a little 6-year-old kid at school, according to reports in the news media. 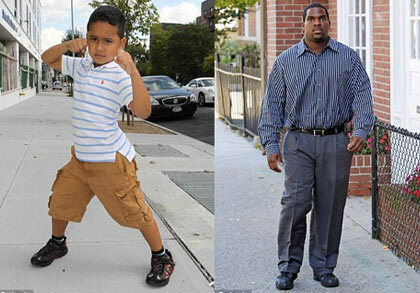 A Queens gym teacher and former college football player claims a student broke his ankle, injured his knee and forced him to go to a psychiatrist for stress, even though the boy was only 50 pounds and in the first grade. Public School 330 and 220 pound teacher John Webster, 27, said a 4-foot-2 Rodrigo Carpio, 6, also kicked and punched Elmhurst school director, a security officer and a teacher during an attack. "He is like some kind of angel devil of sorts," the 5-foot-10 Webster said who recently filed a notice of his intent to sue the city and says he now has to wear braces on his right ankle and knee. "Rodrigo looks like an angel, but then, suddenly, the angel grows devil horns. He has been a nightmare, embarrassing and humiliating." But Rodrigo’s father, Jorge Carpio, 44, laughed: "The lawsuit is completely absurd. How can my toddler do such damage? My poor child."